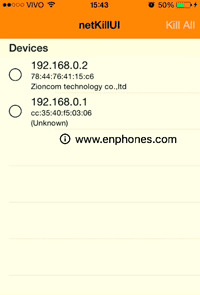 WiFikill iOS App for iPhone & iPad is created to Cut WiFi connection of all other people who are connected to same WiFi Network, so to speed up your internet connection on your iPhone device, if you asking about wifikill pro for iPhone without, this is not our article today jailbreak, we are talkin about a small wifi cut tool which need jailbreak permission. Before stepping into this article let me briefly explain you the concept of the WifiKill app on iPhone and its functionality. WifiKill is a tool which is used to kill the connection of those who are irrelevantly using your wifi internet and misusing the bandwidth. You can then stay comfortable with a full bandwidth just for yourself. There are a lot of applications and programs to disconnect the net from wifi users on android, such as WiFi WifiKill pro, Home Wifi Alert, netcut and more. 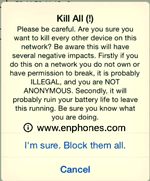 we received many requests for an app to prevent And disconnect the Internet from users from iPhone or iPad iOS devices, and this is what we will be radical in this post, its original name is netKillUI. "Netkillui" does a great job that many people need. They cut off the internet from the participants who are pulling the speed and we want to connect to your network even if they have the secret word. 3. Open netKillUIbeta tool from the main menu. 5. Click Kill All and confirm with I'm sure to cut connection. 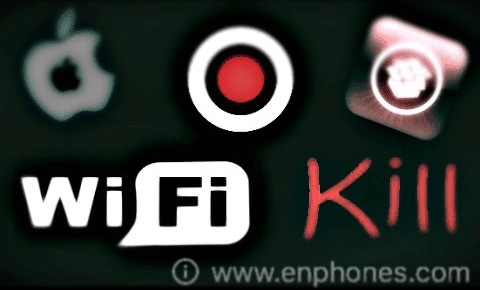 Here we have finished explaining for installation of netkillui tool similar to the application wifikill on Android, the tool as you mentioned works on iPhone and iPad devices.